It is with humble acceptance of God’s will that we announce the untimely death of Pauline Nyambura Irungu of Kiaguthu Village, Mugoiri, Murang’a County. Daughter of the late Richard Gatambia and the late Marion Njeri. Wife of the late Jonathan Irungu Wairagu. Mother of Joseph Wairagu Irungu (P.S. Ministry of Water and Sanitation), Benson Gatambia (Mombasa), Patrick Irungu (Murang’a TTC), Margaret Ndinu (Murai Primary School), Samuel King’ora (Kiayatta Primary School), Paul Macharia (Kahuro), Daniel Njoroge (Kahuro) and Peter Kamau (Murang’a). Mother in-law of Beatrice Wairagu (Principal Gitwe Girls), Annmary Gatambia (Kiaguthu Secondary), Joyce Kanyingi (Murai Primay School), Kennedy Ndinu (Head Teacher Ngiini P. School), Nelius King’ora (Kiumu P. School), Ruth Njoroge, Joyce Macharia and Carol Kamau. Grandmother of George (Equity), Doris, Victor (Dalbit), Saori, Charles, Fundi, Eric, Nyambura, Muthoni, Juliet, Polly, Samuel, Mercy, Annlucy, Carol, Joseph, Antony, Bradon, Stacey, Quinter and Fidel. Family and friends are meeting daily at her home in Kiaguthu Village, Murang’a and the Nairobi Committee will hold meetings at All Saints Cathedral on Thursday 26th and Friday 27th April 2018 starting 6.00pm. The cottage leaves Murang’a County Mortuary on Monday 30th April 2018 at 8.00 am. 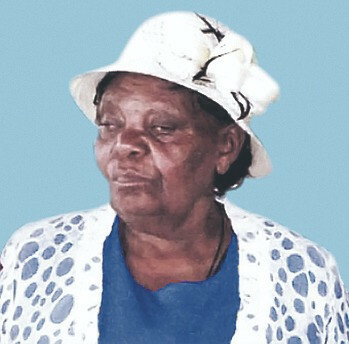 The burial service will be conducted at Kiaguthu Seconday School Grounds and thereafter the late Pauline will be laid to rest at the family home. We loved you, in God’s hands you rest, in our hearts you remain forever.